British Animation Award winning animator and director Bexie Bush and BAFTA-winning, Oscar-nominated producer Chris Hees have launched a crowdfunding campaign for an intriguing new project. In collaboration with the Open University, The Rumour Mill is an animated short designed to "ignite public interest in a debate around the future of energy". It is part of the OU's Stories Of Change: Future Works initiative, which aims to bring creatives and academics together to create new ways of encouraging debates over important issues affecting our future. If the subject matter sounds a little dry, the techniques used in the film look set to stop it feeling that way. 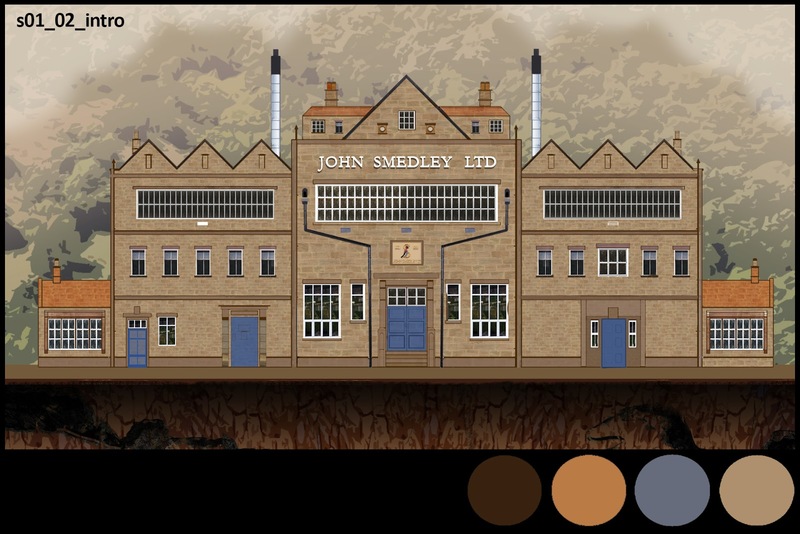 The film is being produced in a studio space in a functioning mill in Derbyshire and will incorporate interviews with the factory's "cheerfully outspoken" staff, which the film-makers say helps make the subject "accessible and authentic". The stop-motion techniques that are being employed to produce the film are what promises to make this truly innovative, however. It will feature 24 beautifully crafted sets that feature a combination of 3D objects, 2D painted elements and forced perspective to create a unique sense of depth. 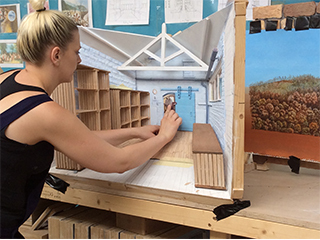 "Model sets are normally made square, because that's what sensible people do" says Bexie. Factory employees will be photographed and added into the film using cut-out animation, which will take the audience through the production of a jumper in the factory. Although this method may be a much harder way of doing it, it certainly looks to be worth it. The project seeks to raise £10,000, with perks starting at £2.00. A pledge of £5.00 will get you a link to the film when finished. The campaign features a flexible goal, meaning that even if the project falls short of the goal, all proceeds raised will go towards the film. The team aim to have the film completed to screen on the festival circuit in 2017. If you'd like to help make this project a reality, or simply find out more, head on over to the Indie GoGo page now.